A delicious, guilt-free breakfast dish. 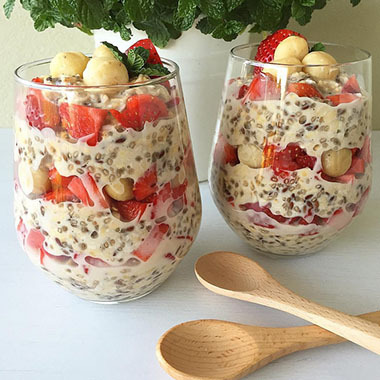 Soak oats, chia & flaxseeds in macadamia milk overnight. Layer with strawberries and macadamias in a glass and serve.